Exercise is an important factor in weight loss, although it is not the only factor. Exercising can help burn calories and boost metabolism. It also can stimulate changes to body composition. High-intensity interval training (HIIT) can be extremely effective for weight loss, especially for people who don't have a lot of time to exercise. A 2010 study showed HIIT was an effective and time-efficient way to burn calories. Likewise, multiple studies have shown that HIIT is quite effective at stimulating fat loss and weight loss. Interval training can additionally improve overall fitness levels, improve aerobic capacity, muscular strength and endurance. 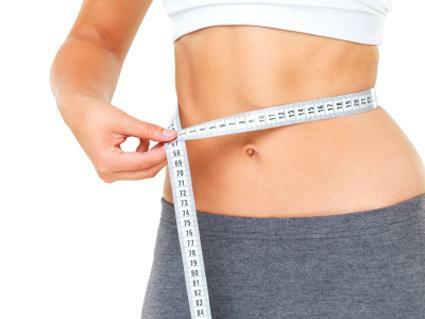 Can Tae Bo Help You Lose Weight? During HIIT, you engage in exercise by alternating between periods of high intensity activity and low to moderate intensity activity. One of the great things about HIIT is you can do this with virtually any type of exercise in which you engage. Try this jogging/sprinting HIIT workout three to four times per week, or on days when you don't have as much time for your workout. Warm up with a fast walk/light jog for 5 to 10 minutes. Repeat the sprint and jog five to six times. Cool down by jogging or walking quickly for five to ten minutes. 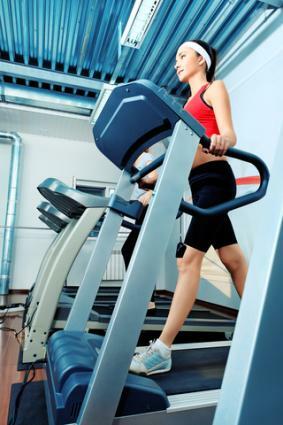 Cardio equipment can be adapted for HIIT workouts. Start with five to 10 minutes of low to moderate intensity work on the equipment. Exercise at very high intensity by either increasing the difficulty or moving more quickly for 30 seconds. Return to low intensity work for two minutes. Repeat steps two and three five to six times. Cool down by gradually decreasing intensity. In HIIT circuit training, you alternate high intensity bursts of weight training with moderate intensity aerobic activity such as jogging in place or pedaling an exercise bike. An entire HIIT circuit should cover each of your body's major muscle groups. Adjust weights so you can complete eight to 10 reps to muscle failure. Warm up for five to ten minutes with some light activity, such as using an elliptical trainer or walking on a treadmill. Perform eight to 10 leg presses to failure. Engage in moderate-intensity cardio for two minutes. Perform eight to 10 leg curls to failure. Perform eight to 10 leg extensions to failure. Perform eight to 10 dead-lifts to failure. Engage moderate-intensity cardio for two minutes. Perform eight to 10 chest presses to failure. Perform eight to 10 shoulder presses to failure. Perform eight to 10 pull-downs to failure. Perform eight to 10 triceps extensions to failure. Perform eight to 10 alternating biceps curls to failure. Engage in moderate intensity cardio for two minutes. Perform abdominal crunches to failure. Cool down with decreasing-intensity cardio activity. Any time you move your body, you are burning calories. While the body is not a simple thermodynamic machine, calorie theory suggests if you burn more calories than you eat, you will lose weight. Both cardio activity and weight training can effectively burn calories. However, many people tend to overestimate the number of calories they burn in exercise, and they compensate by overeating. This is why it is essential to combine calorie-burning activities with a healthy weight loss diet for best results. Engaging in high-intensity activity that involves many large muscle groups will burn the most calories. Engaging in low-intensity activity that engages only a few or very small muscle groups will burn the fewest calories. Bicycling engages your legs, glutes, and low back. You also use your trunk muscles for stability. When you bicycle at high intensity by pedaling quickly or riding on hilly terrain, you can burn a significant number of calories. Conversely, if you go for a leisurely bike ride on flat terrain where you coast a lot, you won't burn very many calories at all. A 180-pound person can burn anywhere from 490 to 1308 calories in an hour, depending on whether it's mountain biking or a light, moderate, vigorous, very fast, or racing speed. Keep in mind that riding a stationary bike will burn considerably less - from 245 to 1022 - so if you decide to stay inside with bad weather, increase your speed or length of time. Cross country skiing engages most of your body's large muscle groups. Again, you can vary the intensity with speed or terrain. A 180-pound person can expect to burn from 654 to 1348 calories an hour depending on whether it's moderate, vigorous, racing, or uphill speeds. Jumping rope works your legs and glutes, as well as working muscles of the upper body to a lesser extent. Speed can help vary your workout intensity. A 180-pound person can burn about 654 calories an hour depending on whether the pace is slow, moderate, or fast. Martial arts engage all major muscle groups in the body. Likewise, the workout can be varied in intensity, leading to a high rate of calorie burn. Martial arts activities that engage the legs burn more calories than those that are predominately upper body focused. Martial arts can burn 817 calories in an hour for a 180-pound person. This activity engages all of your major muscle groups. Because you are working with your own body weight, it is also a naturally high-intensity activity when you are ascending. A 180-pound person can burn from 654 to 899 calories an hour. Running uses your large lower body muscle groups. You can increase intensity by running on hilly terrain or stairs, or by running more quickly. If a 180-pound person runs at a casual speed for an hour, they can expect to burn around 654 calories, but if they put on the burners going nearly 11 mph, they can burn up to 1471 calories. 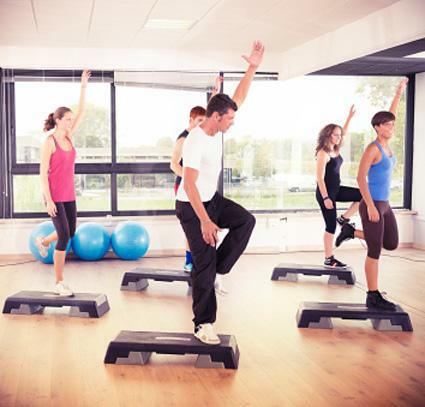 Step aerobics provide a great overall body workout if you also engage in upper body movements. A 180-pound person can expect to lose 695 calories after doing this for an hour. While many people don't consider resistance training a weight-loss exercise, it does play a key role in losing weight by allowing you to burn fat. Unless you are performing extremely high-intensity, high weight, low-repetition exercises, the trade-off is in fat burning and metabolic effects instead of burning a lot of calories. By increasing your body's muscle mass, you can slightly increase your metabolism. Resistance training also burns calories, although not nearly as many as other types of exercise. Instead, it is a solution for long-term weight maintenance and transformation of your body composition and metabolism. You can use weights for resistance training, or you can use resistance exercises without weights. Work all of your major muscle groups. If you're new to weight training, start with a program for beginners. Work in a weight range where you can perform about 12 to 15 repetitions to failure. Work all of your major muscle groups - legs, trunk (lower back and abs), chest, upper back, shoulders, and arms. Leave at least 48 hours between resistance workouts. Aim for two resistance workouts per week to start, and work your way up to three. Start with two sets of each exercise, and work your way up to three. Warm up and cool down with every exercise session. Always stretch after a resistance training workout. Below, you will find a sample workout program for weight loss. Remember that rest is as important as exercise, so leave days of rest -or only light activity such as going for a walk- to allow your body to recover. Start light and give your body time to recover. Pursue a beginner program for at least eight weeks before moving on to the next level. Remain in an intermediate program for at least eight weeks before moving up to an advanced program. Once you're at this level, it's a good time to really mix it up so your body doesn't adapt to any certain activity. You can use the previous schedule and increase the intensity of all of your activities. Rest for at least one or two days every week. Rest days can include light activity. Work all of your major muscle groups with resistance training two to three times each week. Engage in two to three HIIT sessions per week. Of course, if you enjoy playing tennis or take spinning classes for cardio, or prefer to do a more classic circuit training program for weight training, there's nothing wrong with that. When it comes to exercises for losing weight, there are few wrong answers - only quicker and slower methods. Now that you are working at the fastest, best pace possible, it's important to engage in a weight loss diet as well. This means that while you're burning calories as quickly as possible, it's not going to be effective unless you burn more calories than you consume. When you create your total workout, create an effective eating plan as well. Moving more and consuming less is the only way to ensure weight loss.